A framework has been created to help business to embrace ambitious, purpose-led, courageous leadership to shape the economy, instead of merely responding to problems. The innovative guide has emerged from research by Cambridge University’s Institute for Sustainability Leadership, which concluded that businesses had always lacked the means to grasp the opportunities to change attitudes. Climate change and wealth inequality are among threats to business and society for which novel solutions are available if business directors and executives take the lead, says the institute’s report. 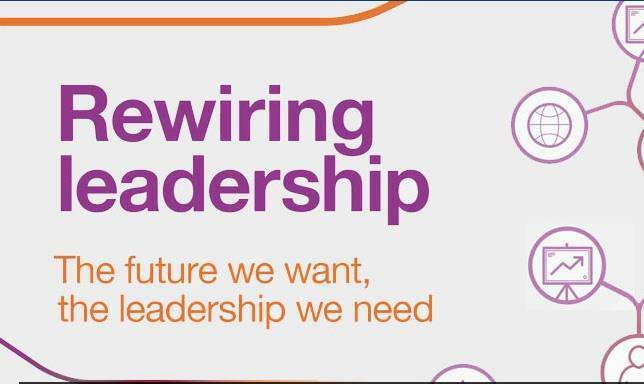 Regulation by governments, which is slow and reactive, is not enough, says the report, Rewiring Leadership; the Future we want, the Leadership we need. Businesses are told leadership to meet today’s challenges is required through all strata of an organization, and teams dedicated to leadership development and human resources are vital in recruiting, training and inspiring the right individuals. The institute gives the example of Anglo American, the UK-based multinational, which has introduced a purpose-led strategy. The company’s new approach seeks new ways to make mining safer, more efficient and more sustainable and to minimize its environmental effects. Desray Clark, the company’s head of leadership development, said: “This is crucial for a 100-year-old company like Anglo American and others in this sector. Anglo American’s thinking is in line with the institute’s belief that businesses must cultivate leadership at all levels and that the diverse and complementary strengths and approaches within them must be fully used. The institute says its guidance, called the Cambridge Impact Leadership Model, would give all leaders opportunities to nurture innovation, manage risk and exert influence wherever they work to reach society’s broader goals. Clark observes: “We have learnt that this is the only way to ensure that we deliver against our purpose. “In the past, like many organizations, we reserved leadership development for select senior leaders who would return from their training, ready to implement what they had learnt – but the system was not ready for them. “Now we realize the importance of adopting an inclusive culture where leadership development is tailored for all employees. We realize that one size doesn’t fit all. The model stipulates that leadership is motivated by the conviction that business success goes together with delivering social and environmental outcomes, that it is built on thinking, values and practice to hit those targets, and that it continually reflects and adapts and holds itself accountable to deliver. The report points out that the business case for ethical conduct benefiting society and the environment is evidenced by such companies as GE, Ikea, Natura, Nike, Toyota and Unilever, which are reaping the rewards of offering green products and services, now worth $100bn (£72bn, €80bn). It says Unilever’s purpose-driven brands are growing twice as fast as the rest of its portfolio and if GE’s Ecomagination growth strategy was a standalone business it would be a Fortune 100 company. Last word from Unilever chief executive Paul Polman: “I’m yet to meet a business leader who wants to see their business contribute to more air pollution, or more children going hungry, or more plastic in the oceans. “Most are driven by an instinct to be a force for good in the world. But leading for the scale of change that is needed, as this report highlights, is not easy or straightforward. “It takes courage, a willingness to put long-term needs ahead of short-term expedience and – above all – an ability to think systemically and to operate in new and collaborative ways. It can be done but it will indeed require a ‘rewiring’ of leadership.